Are you passionate about sales, retail & lingerie as well as delivering exceptional customer service? Then you could be our next Sales Assistants. With training from our Hunkemöller Academy, you’ll become a certified Bra Expert and will understand how to deliver World Class Service to our customers. We’re looking for someone who can inspire our customers every day with their passion for lingerie and deliver the ultimate customer experience. Would you like to see more Sales Asistant Jobs? Unlike other retailers, we’re not just looking for a Sales Assistant. We’re looking for someone who understands our passion for lingerie and can inspire our customers every day. If you’ve worked in fashion or retail before that’s great but if not, we’ll teach you everything you need to know. We’ll show you how to deliver, what we believe is, World Class Service so our customer will have an amazing and unrivalled experience. In return, we need people that are willing to learn, who want to really maximize sales and have the desire to give every customer a fantastic shopping experience. You’ll work with a team of passionate sales assistants and when the store is busy you’ll keep your cool and adapt quickly. 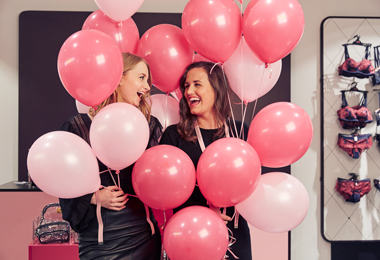 As a Hunkemöller sales assistant, you’ll have a friendly and inquisitive nature. You’ll get to know our customers by making genuine contact and asking the right open questions to find out what they really want. Our sales assistants are great listeners and use what they hear to make sure every customer leaves happy. At Hunkemöller, we’re focused on delivering great results, so you’ll need to share our ‘winning mind set’ and be determined to shine.